At Prestige Dentistry in Palm Harbor, our smile makeover patients believe that life-changing cosmetic dentistry is a worthwhile investment. Indeed, for most people, the value of a healthy, attractive smile cannot be measured in dollars. We recognize, however, that cosmetic dentistry is not cheap. Do you have to spend thousands of dollars to beautify your smile? Actually, no. Today’s post focuses on the most affordable cosmetic dental procedures. When Prestige Dentistry repairs a tooth with dental bonding, a pliable resin material is applied to the tooth. Dr. Dentistry expertly molds the material to create the desired shape. The resin is then hardened using a special light. After hardening, Dr. Dentistry performs any required trimming and shaping followed by a final polishing. Dental bonding is generally less expensive than porcelain veneers or dental crowns. 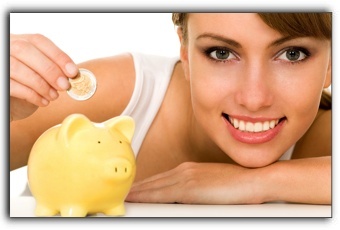 Call us at 727-877-1507 to discuss cosmetic dental financing options. Beware of brand-new Trinity area practices that advertise unusually low prices for dental bonding, veneers, or dental implants. The know-how and artistic ability necessary to achieve minuscule tolerances should not be undertaken by a beginner. Thoroughly research any new cosmetic dentist you are considering for any cosmetic dental procedures or complete smile makeover. Most Palm Harbor people are aware that there are several different tooth whitening procedures. Prestige Dentistry recommends scheduling a tooth whitening consultation to discuss your options. Even inexpensive OTC tooth bleaching systems can be misused and bring about tooth sensitivity, damage to tooth enamel, and uneven coloration. Prestige Dentistry has been restoring teeth since 1986 for patients of all ages. Prestige Dentistry is located in Palm Harbor though we treat patients from the surrounding communities of East Lake, East Lake, and Clearwater. Our dental services include cosmetic dentistry and general dentistry. Make your appointment today! ‹ What’s The Difference Between An Inlay And An Onlay?